If there�s one thing I�ve learned, it�s we must obey the rules of the game. We can pick the game, Niko Bellic, but we cannot change the rules. Recently, I've had a fair amount of time to play GTA IV, and, strangely, return to Crackdown. The more time I spend in Liberty City, the more I miss the opportunity to scale buildings in a single bound. It�s not that I don�t love GTA IV's narrative, or even that I feel it would be bettered by Crackdown's superhero�s agilities, rather they are like beer to chips, wine to cheese, or coffee to bagels � they perfectly complement one another. What I enjoy about these particular games, especially Crackdown, is their willingness to give the player complete freedom to the open world. But what, if anything, does this freedom cost the game�s narrative? And why do I find this freedom, unique to the sandbox genre, so damn appealing? To dig in, let�s take a brief pit stop in narrative theory. From Aristotle to Arthur Miller, a well-structured narrative should always progress by continually re-applying what the audience learns from previous scenes. Like in a detective story, each scene must act as a clue, a small semblance to a cohesive whole. At the narrative�s climax, the audience should be able to step-away and feel they have all the pieces before them, but that they alone can�t perfectly put them together; yet, when the pieces congeal, when the climax occurs, the story must also feel inevitable, that these pieces were carefully crafted to fall into their particular places. As Hedda must shoot herself, as Major Kong must ride the bomb, as Brody must give the stink palm � the narrative (or fate) has led them to these decisions. While I won�t explore this concept in non-narrative games, they obey similar rules. Tetris increases speed and pieces. Guitar Hero adds another fret. Yet, sandbox games' recent expansion across the video game landscape has made this cause-effect method difficult to maintain. Since the designer must make the world the player inhabits believable to the player, they usually hand over a few game mechanics typically divvied out over levels in more linear games. Suddenly, players have a sense of choice never before given. How can designers plan a cause-effect narrative, when the player has unlimited choices�what if he abandons the studio created narrative for his own? In a traditional linear game, you may learn to use an Uzi in level 1, drive a car in level 2, and lead a drive-by in level 3, but a sandbox game must make all three possibilities available immediately. Obviously, this isn�t entirely beneficial to the game, and may be the sandbox game�s biggest hurdle. Many casual gamers are quickly intimidated by the plethora of options a expansive environment offers, and though Sam Houser boldly says �F*ck them!� I�m sure he, along with other sandbox developers prefer all gamers (of any gamer creed) buy their studio�s product, especially when it cost $50 million dollars to produce. So how do sandbox games overcome their own open-endedness? Or, better, how do you provide instructions to players that skip a tutorial? Or should the studios even bother? 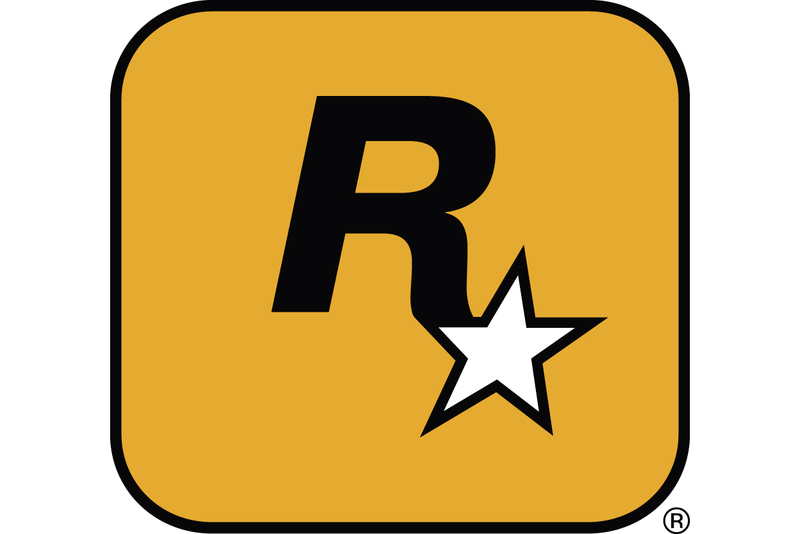 With GTA IV and Crackdown�s recent successes, they�re two valuable though different examples. GTA IV has gotten a lot of press, and I�ll get to its particularly special feature in a moment, but first, Crackdown. Of the two, Crackdown has the most open-ended narrative. When you begin the game, you are assigned a handful of dangerous gang leaders to assassinate. These bosses have varying strengths, but while it�s difficult to kill the strongest without boosting your own attributes, the game requires no particular order to your killing spree. If you have the guts, the skills, and somehow stumble upon powerful weapons, you�re welcome to kill the final boss from the get-go. Good luck. Its simplicity makes the narrative feel so open-ended. Or, in cruder terms, the narrative�s quite empty. Beyond a brief intro, gang leader descriptions, and a bizarre final twist, the game exists as a futuristic dystopian playground. You aren�t expected to obey side-missions or live a normal life while you�re not busy cleaning the mean streets, Just run, gun, and jump like you�ve never done it before. And while the game does offer basic control instructions, it borrows so heavily from classic games that anyone who�s played Mega Man or Mario 64 should have the necessary entrance skills. While this may not make the game playable by casual players, the protagonist�s super-strength and weak early enemies offer an introductory learning phase. While rich narrative games like GTA IV pile on narrative and gameplay branches (Taxi for Roman, date Michelle, kill for Vlad, party with Little Jacob) that require the player to quickly understand the controls and also create a sense of guilt when you skips these missions to screw-around, Crackdown tells you to kill this dirty dozen or so bosses. Whenever you want. Just kill them. What Crackdown lacks in narrative cause-effect, it makes up for in cause-effect exploration. To accomplish this, it uses gility orbs. The agility orbs, like PF Flyers, make you run faster and jump higher. The more you collect the more you want. They build off one another much like linear games� scenes and acquired skills, but rather than linear, you can collect agility orbs however you prefer, and yet each one seamlessly adds and builds upon the previous orbs you collected. I despise the term cheat. I believe, specifically in single player games, when a user buys a videogame they have paid for the full product, including any glitches, cheats, or debugs. If the user paid for the city, why should they not get the keys? Yet, there�s a stipulation. In both GTA IV and Crackdown, handing complete control to the player requires them to concede they are not honestly pursuing the narrative via their own acquired skills. In Crackdown, you cannot save with this mode selected, and GTA IV penalizes the player by not rewarding the user with achievements while �cheats� are selected. But this benefits the player. It encourages, almost requires him to step away from the game�s narrative, and create their own. But GTA IV already offers an extensive narrative that branches into many different areas for different types of players. Why encourage players to develop their own unique stories? Brucie�s always the first to identify Brucie�He�s aware of his success, and surrounds himself with other successful people like Niko. Brucie, too, is a natural winner, but what makes Brucie unique, truly special, is his ability to see the world�s mechanism. He sees how the clock works, and it�s so evident, so clear to him, that everyone can�t comprehend his actions. He�s a moron. A fool. In this video, Niko completes a death-defying high-speed race and Brucie hollers with excitement. For Brucie, he saw the finish ling coming all along. While Niko, the player, will complete this race�you have to if you want to progress�both he and the player are under the illusion that success may never come. The game pressures you to succeed in this narrative, but the truth is there�s no real failure in GTA IV. Even if you never complete the narrative, you can always get the codes. You can spawn all the helicopters, weapons, and health you want, and enjoy the city. Yet, when you play this race, you�ve chosen to become the bigger character, the victor rewarded by the game�s built-in praise. It�s the path of Niko. The path of player receives praise only from herself or those who view her unique twist on the virtual world. And yet, the curtain�s pulled back. Success can be had at any time. And when I met Brucie, it was suddenly evident: the city�s already mine." After World War I, Dada was created as a form of anti-war politics, a form that rejected traditional art techniques via anti-art methods. While I do not have the time or resources to fully examine how the recent en flux of sandbox games, games that break away from the traditional videogames� narratives and structures, may be a response to the United States and the world�s current political and economical dilemma as Dada was a response to its own time of civil unrest, I think the issues worth considering. These particular games, especially GTA IV, give the player complete control of a world identical to their own. Sandbox games afford them the opportunity to be a hero, a God; they allow the user to create chaos, maintain peace, or just be another passerby�a participant as popularized in GTA machinima where the protagonist plays a Vice or Liberty City tourist. For me, a young man just out of college, struggling with an enormous debt, seeing a decreasing amount of potential job openings, and living in a possible recession my world doesn�t feel like a linear narrative. I can�t see the finish line. It feels like chaos. Sandbox games let me take control, find sense, or, if I must, create madness. These games offer choice; they offer a chance to create my own life story during a time it feels like circumstance and fate have me by the throat. Sometimes I wish I saw the world more like Brucie.